Beat the heat when the summer sun is sizzling. At Davis Repair, we provide auto AC repair and replacement for customers in Greenwood Village, Colorado, and the surrounding areas. With average temperatures ranging into the upper 80s or higher in the summer, you can’t afford to go without a working AC. We provide top-quality services and affordable work to ensure you have a cool ride wherever you go. Sometimes auto AC repair simply isn’t enough to give you a blast of cool air. Don’t sweat it if your vehicle’s air conditioner is broken. Our technicians work quickly to identify the issue and replace the damaged parts. Whether you need a new part or complete auto AC replacement, you can trust our team to deliver quality service at the right price. Because we feature fixed-price servicing, you’ll always know what to expect. There will be no expensive surprises at our auto repair shop. Our goal is to help you save money and enjoy a cool driving experience again. Take the chill out of the air by depending on us for full-service auto heating repair. It may be nice to walk in a winter wonderland. However, driving in a freezing car is no fun. If your car heater is broken, you’re in for a chilling experience. 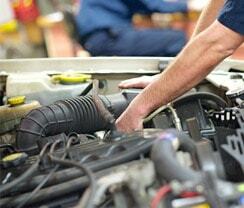 You need auto technicians that can bring on the heat.